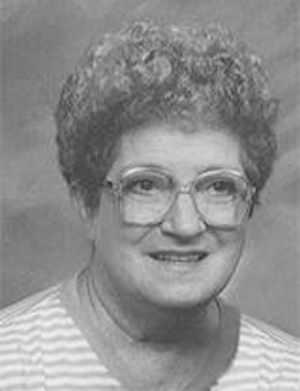 Obituary – Robbins, Laveda Sue (Wentz) « Perry High School Alumni Association, Inc.
Sue Robbins, age 76, of Perry, Okla. went to be with her Lord Nov. 14, 2012, in Oklahoma City, Okla. and is now resting in Heaven. 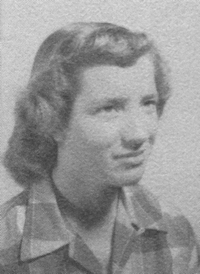 She was born on Oct. 6, 1936, in Byrdstown, Tenn. to Tom and Geraldine (Huddleston) Wentz. She married Wayne Robbins on June 23, 1983. Sue had lived in Perry most of her life and prevously lived in Laverne and Woodward. She graduated from Perry High School and retired from Ditch Witch in 1998. She volunteered for Perry Alumni, loved to bake, garden, spending time on the computer but more than anything else loved spending time with her children, grandchildren and great grandchildren. Sue is survived by her husband Wayne of the home in Perry, children Randy and wife Brenda Vollmer of Perry, Vicki Simon of Sand Springs, Rodney and wife Courtney Vollmer of Perry and step daughter Kathy Downs of Guthrie. She is also survived by eight grandchildren, Brandon and Ryon Vollmer, Trey Simon, Luke, Kaitlynn and Dane Vollmer, Cooper and Paige Downs and great grandchildren, Tucker, Sawyer and Callen Vollmer. She was preceded in death by her parents, sister Connie Wentz and son-in-law Bernard Alan Simon, II. Services will be held at 10:30 a.m., on Saturday, Nov. 17, 2012, at the Calvary Baptist Church, in Perry, Okla. with Brother Roger Dunn officiating. Burial will follow at Morrison Cemetery, in Morrison, Okla. Services are under the direction of Hayes Funeral Home, Guthrie.